How can we work towards a system not so stacked against working people and their Unions? 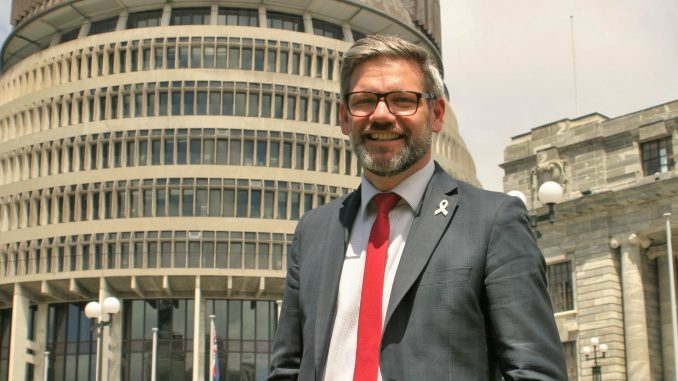 At a well attended meeting organised by the WWEA and Unions Wellington, Iain Lees-Galloway MP (Minister for Workplace Relations, Immigration and ACC) was asked to address this and other questions. He updated us on the government’s strategy around bringing in Fair Pay Agreements, combating the exploitation of low paid workers, and upcoming changes to industrial law – changes triggering loud squawks of outrage from Kirk Hopeless and the other Chicken Littles over at Business NZ. There was open and frank discussion, with the majority of time devoted to questions from the audience. These covered such topics as the possibility of introducing corporate manslaughter laws, whether the government will roll back legal restrictions on our right to strike, and a number of workplace issues facing people in the audience. Audience at the meeting with Iain Lees-Galloway MP. Particularly welcome was the contribution from our friends in the Wellington Tramways Union. No doubt everyone is aware of the awful time bus drivers have had lately, and the disgraceful treatment they have received from Tranzit Group and the Greater Wellington Regional Council. We’re glad these workers had a chance to raise their issues directly with a senior government minister. We would like to thank Iain Lees-Galloway for his time, and also thank everyone who attended – especially the union members who got up to speak.